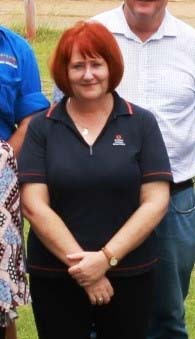 The best known face in Katherine Research Station, Jane Jackson, left us in early February. Hers was the welcoming face when you came into the front office. You may also have experienced her legendary laugh which boomed along the corridor. More than anyone else, she has been responsible for making KRS such a happy place to work. Jane says she has no plans to leave Katherine and is using up her leave until the middle of the year before deciding what to do next. Thankfully Leanne Vandersman who has worked alongside Jane for years is able to step into the Executive Officer role until the position is advertised and Angela Donzow, who has had a couple of spells in the KRS office in the past, has come in to backfill Leanne’s finance position.